Music historians have long suspected that the inventors of the violin wanted to imitate the human voice, and a study out Monday shows how 16th to 18th century luthiers in Italy did it. Others played in the study were from the Stradivarius family, conceived by Antonio Stradivari, who improved upon Amati's design. First, researchers recorded scales played on the 15 antique instruments played by a professional violinist and recorded at Taiwan's Chimei Museum. 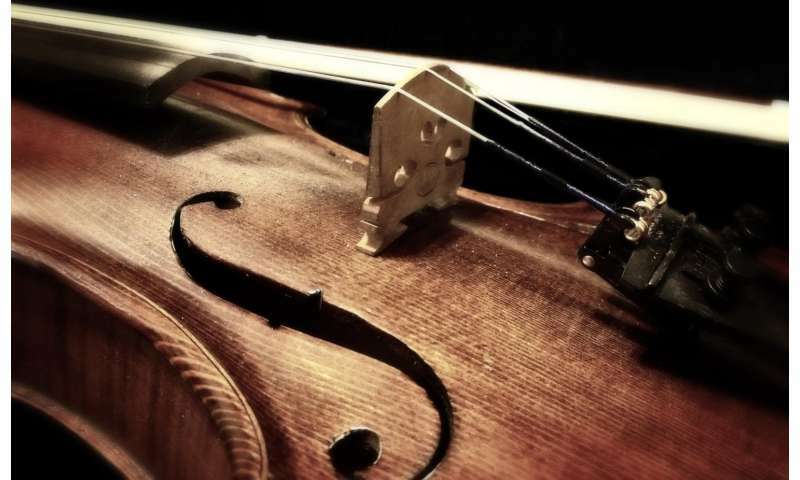 Performing a thorough acoustic analysis, they found that an Amati violin dating to 1570 and a Gasparo da Salo violin dating to 1560 mimicked the basses and baritones of male singers, "raising the possibility that master violinmakers from this period may have designed violins to emulate male voices," said the report. "In contrast, Stradivari violins were marked by elevated formants, making them relatively more similar to female voices," such as tenors and altos, the researchers added. "These properties may explain the characteristic brilliance of Stradivari violins." I would doubt that Stradivarius was attempting to imitate women;s voices. It is more likely he was attempting to imitate castrato voices. Higher in pitch then most males but with the power of the male lungs. Cause let's face it, that's where the big money was to be made.